If you want to delve more deeply into a topic about which you are particularly impassioned, enhance your credentials for a job, or hone the critical skills you'll need to pursue a doctoral degree, you should consider pursuing an Master of Arts degree in anthropology at Brandeis. Our faculty are experts in a wide array of subtopics and geographic regions. This specialization allows for interdisciplinary, cross-departmental course work and language training. Our faculty have particular strengths in Mesoamerican civilizations. This specialization allows you to work with archaeologists in the Department of Classical Studies at Brandeis, and to take classes at any of the seven nearby universities that comprise the Center for Materials Research in Archaeology and Ethnology, a Boston-area consortium based at MIT. We also offer a joint master of arts degree in anthropology and women's, gender, and sexuality studies. At Brandeis, you'll enjoy the intellectual heft of a major research institution and personalized attention from dedicated faculty mentors who are active in their field. As a graduate student in anthropology, you can also take advantage of the multiple resources and activities our department sponsors, including the Brandeis Anthropology Research Seminar, the Colloquium Series, the Economic Anthropology Working Group and the Research Consultant Program, which hosts visiting scholars. Our department is responsible for the Material Culture Study Center, a teaching collection of art and artifacts from Africa, Asia, Australia, the American Southwest, Mesoamerica, the Near East, South America and Oceania, which is available for your research. We are also a founding member of the Greater Boston Anthropology Consortium, which includes anthropology departments at a number of area colleges and sponsors roundtables, lectures and student conferences. Thanks to Brandeis' proximity to Boston, you can take advantage of its myriad educational, research and cultural institutions, including the Museum of Fine Arts and the Boston Library Group. Our master's degree in anthropology will give you a solid preparation for doctoral studies at Brandeis or another institution. Our MA graduates go on to study in the most prestigious PhD programs, including those at University of Chicago, Cornell University, University of Michigan, University of Toronto and Ben Gurion University. Others are pursuing a doctoral degree in other fields, including religious studies and women's studies, at Emory University, George Washington University, Rutgers University, University of California at Santa Cruz, University of Manitoba and University of Pennsylvania. Many of our graduates are pursuing rewarding careers in fields like archeology, health care, social services and education. Some have gone on to study medicine, law and nonprofit management. In addition to the core course, Contemporary Anthropological Theory, you will take seven electives, which you will choose with your faculty adviser. You will also participate in the year-long departmental graduate proseminar and write a 25-to-40-page master's thesis. The Graduate School of Arts and Sciences offers both merit- and need-based scholarships. You may also apply to receive field research funding. January 15 for priority admission. Later applications may be considered on a rolling basis until May 15. 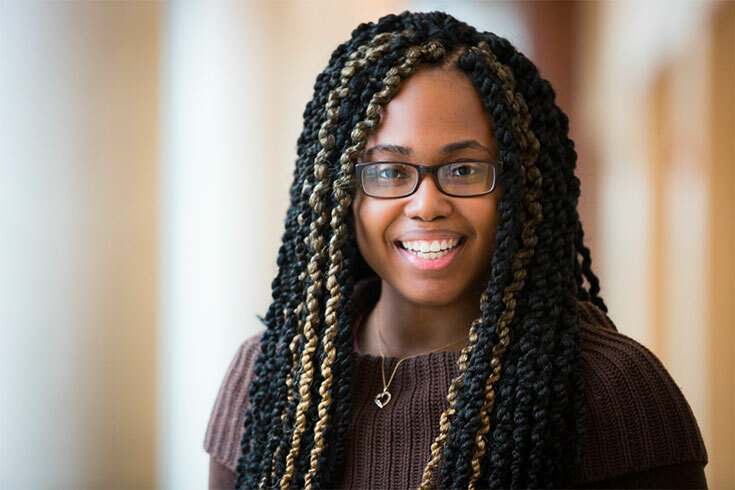 Christiana's wish to continue honing her research skills in a supportive environment led her to consider Brandeis in her search for graduate programs. "I was attracted to the Anthropology department's intimate size," says Joseph. "I was also drawn to [Brandeis] because of the department's emphasis on training for independent research on theoretical issues and fieldwork."